Downsizing isn't usually a word people want to hear, but when it comes to hats, it's a far less painful situation. 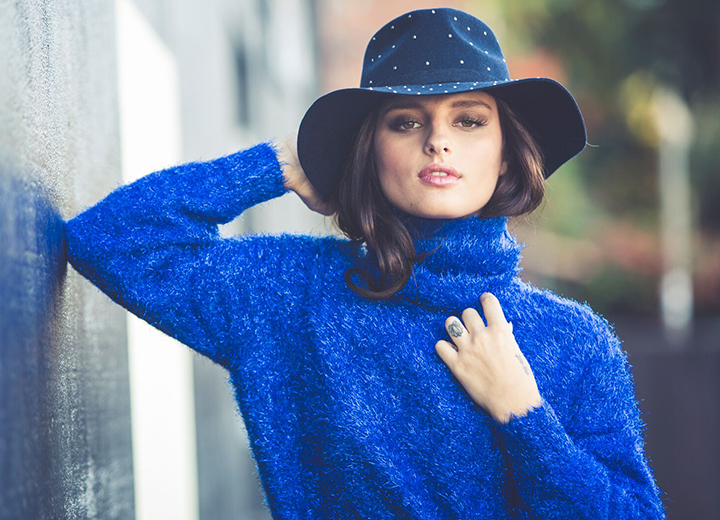 While it's ideal to pick the right size hat that will fit you perfectly from the get-go, sometimes that's not an option. Maybe the hat only comes in one size. Maybe it's not offered in half sizes. Or maybe you're not even sure what size you should be looking for in the first place. (If that's the case, take a look at our handy guide on how to measure your head.) Whatever the reason, if you end up with an oversized hat, don't worry — the party is definitely not over. 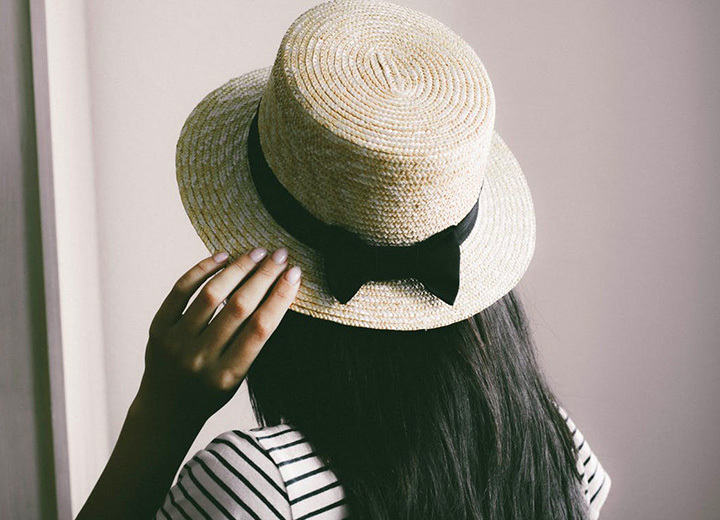 What's more, resizing a hat that's too big — be it a straw hat, wool hat, or cotton baseball cap — is amazingly easy, affordable, and requires no steaming, ironing, or elaborate techniques. 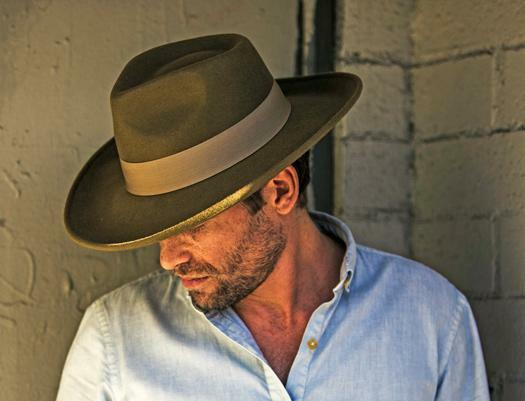 Read on to discover the best methods for making a hat smaller in practically no time at all. Perhaps the easiest way to get your hat down to size is using hat tape, also called hat size reducer. 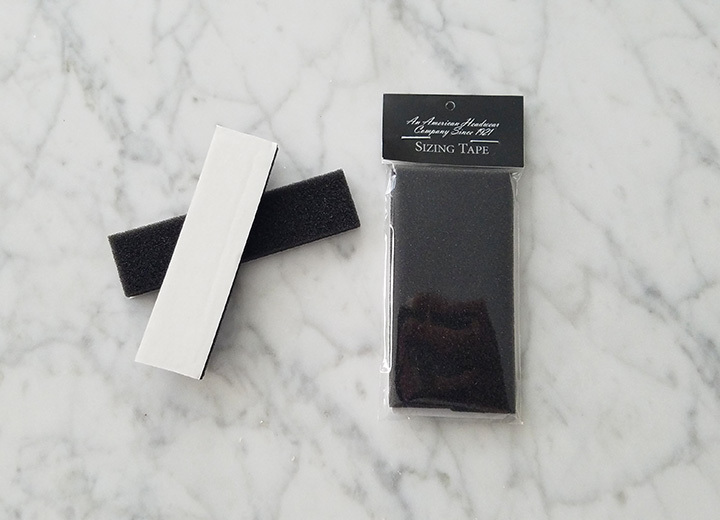 Unlike double-sided tape, which could ruin the sweatband by tearing at the material, hat sizing tape only has adhesive on one side with a foam strip on the other. Most often pre-cut, these hat sizing strips can be purchased online or at most hat shops. You could also check your local hardware store for small strips of foam padding material as an option. Want free hat sizing tape? Every hat purchased from Tenth Street Hats includes two free pieces of pre-cut hat sizing tape with self-adhesive, so you always have the perfect fit. Before removing the adhesive, place the hat sizing tape on the area of the hat that is largest on your head. This could be the front, back, or both sides or all of the above. Make sure to place the hat reducer strips underneath the sweatband (not on top) and try on the hat. Play around with how the hat fits with one, two, three, or all four pieces of the tape tucked inside the sweatband. 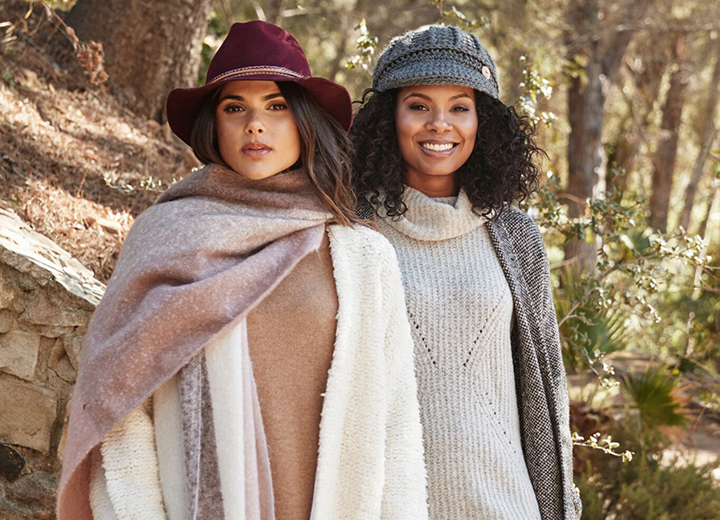 Keep in mind that a hat should never fit so snugly that it pinches your head or leaves deep creases or red marks on your forehead. 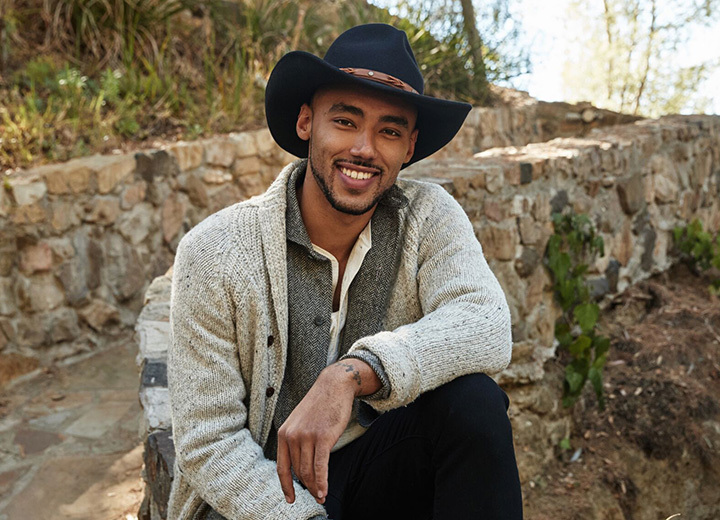 A slightly loose hat is preferable to a headache, but you also don't want the hat to feel like it's going to fall off your head at any moment. Once you find the sweet spot, remove the protector from the adhesive side of the foam strip and firmly press it underneath the sweatband. Repeat the process with each strip. This not only keeps the sizing tape out of sight (no one will ever know), but it also maintains the original fabric of the liner between your head and the hat. Try on the hat again to determine if the placement of the strips is working for you. If not, carefully remove the foam strips and readjust them until the fit feels right. Another simple solution to downsizing a hat that fits a little too big is elastic. Sometimes called waistband elastic, these small, inexpensive stretchy strips can be found at any fabric store or crafts shop like Michael's. You might also be able to find a piece in those free sewing kits you get at hotels and such. (Don't pretend like you've never taken one home before.) This method uses basic needlework, so if you're all thumbs, find someone who can assist. It's really not that hard. Before you start, be aware that this method requires some manipulation of the sweatband and will alter how the hat interior looks. Make sure you're OK with that and that the sweatband can handle being punctured by a needle. Put on the hat and get a feel for how much elastic you'll need to get it tightened enough for the right fit. Cut the elastic to the size that you need to fit from one side of the hat sweatband to the other. 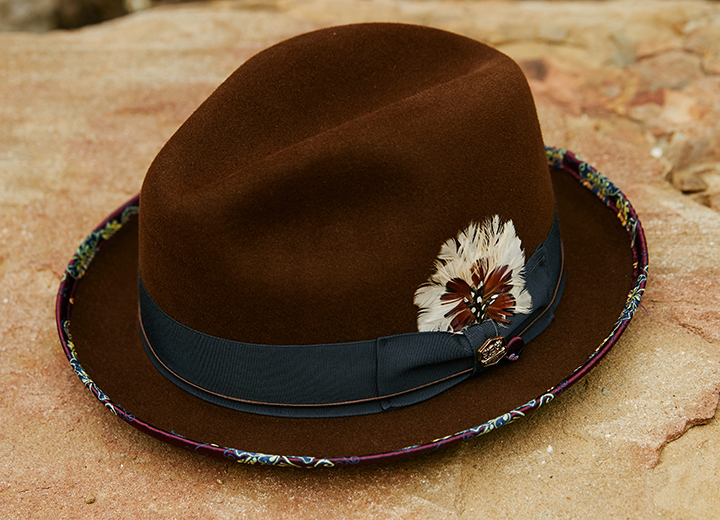 This should not be done at the center of the hat — do it closer to the back where it will only take up a little space. Pick a thread color that matches the sweatband and thread the needle. Sew one edge of the elastic securely to one side of the sweatband. 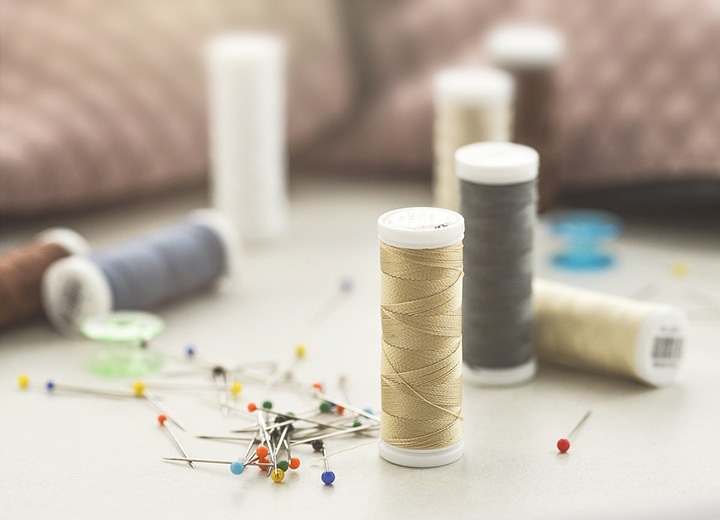 Make a strong knot after sewing to reinforce the thread from getting loose. Repeat this on the other side. Try on the hat to confirm the size is to your liking. If it's still not taut enough, you can make the hat fit tighter by folding the elastic in the middle and sewing it together. When your hat is a loose misfit, it can be a real downer. But it doesn't have to be that way. Following these simple steps is all you need to do to make a hat smaller and achieve the perfect fit. Keep in mind that wool felt hats react strongly to moisture (including sweat), so if you start off with a wool hat that feels too big but becomes tighter with use, you can always remove any hat sizing tape or elastic to get your headgear fitting exactly as you want it. Here's to happy hat wearing!